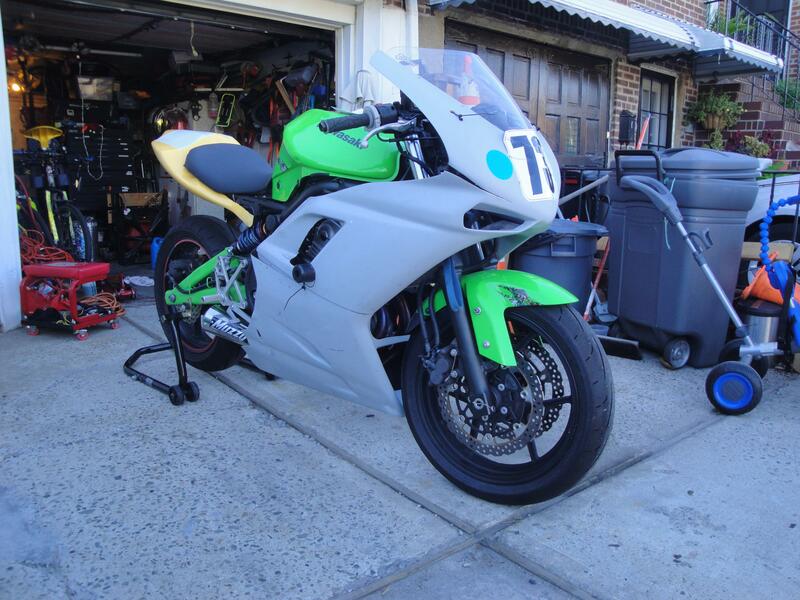 So I sold my SV650 racebike this year to get this going. Got a sick deal on an 07 Ninja650 end of last season. I put intiminators in the front end and a brand spankin new Elka race shock out back. 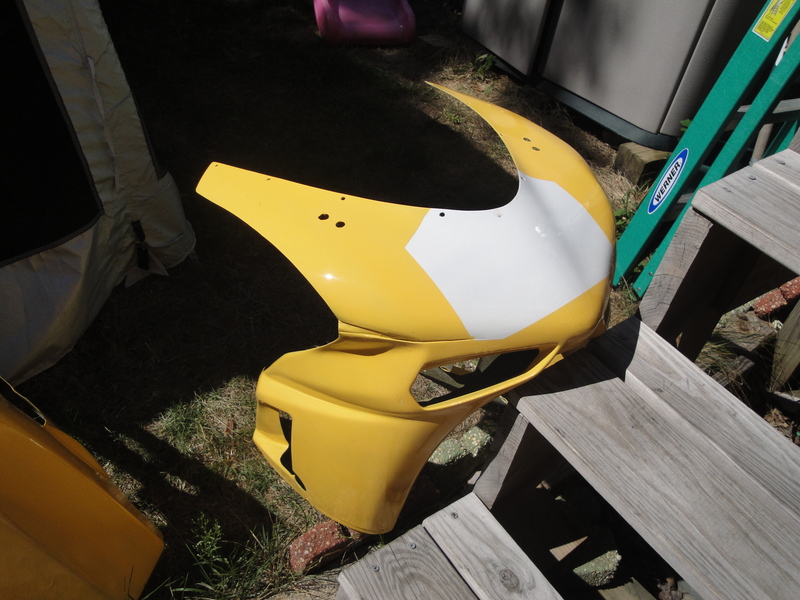 Painting the bodywork now into Smokinjoe colors. Got the tail done and had to glass the upper. Had to cut the stock seat in half with a hacksaw jigsaw and cut the solo tail to fit . Amazing, I need, God provides. Sounds like a MotoGP bike. The squids in the hood all want to buy the bike. A mate of mine has one of those and rides with us regularly. 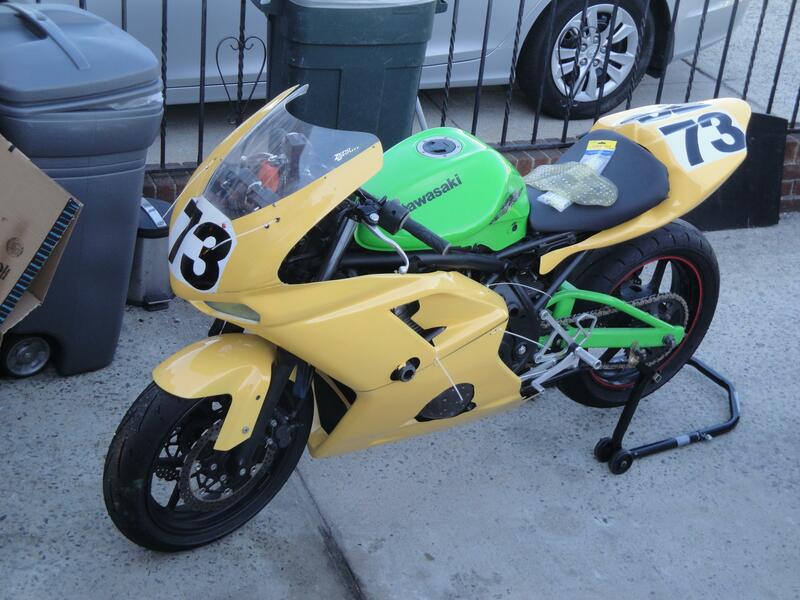 His bike seems to be more than the sum of it's parts judging by the way it goes. How does it compare to the SV? 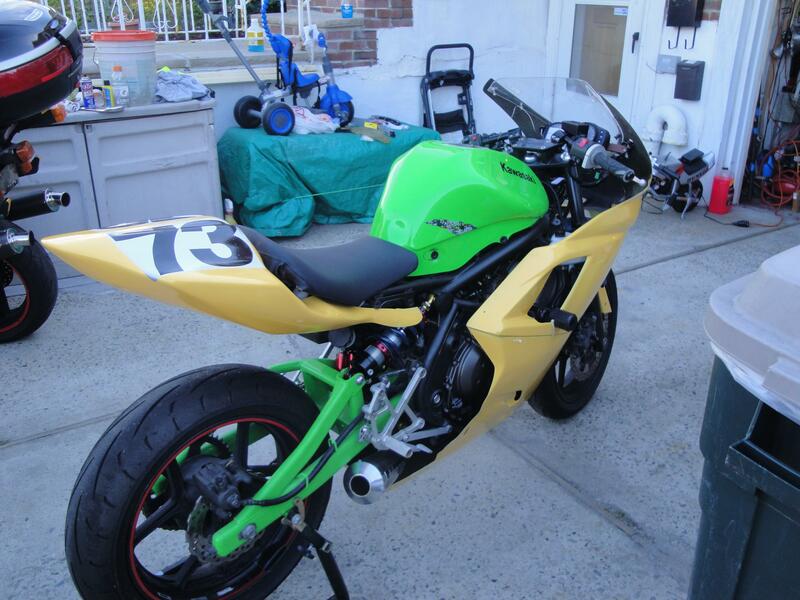 Yeah, its a Ninja 650 here. It really is amazingly stable on the track the way I have it set up. I like it more than the sv but its a preference. The svs are more popular. 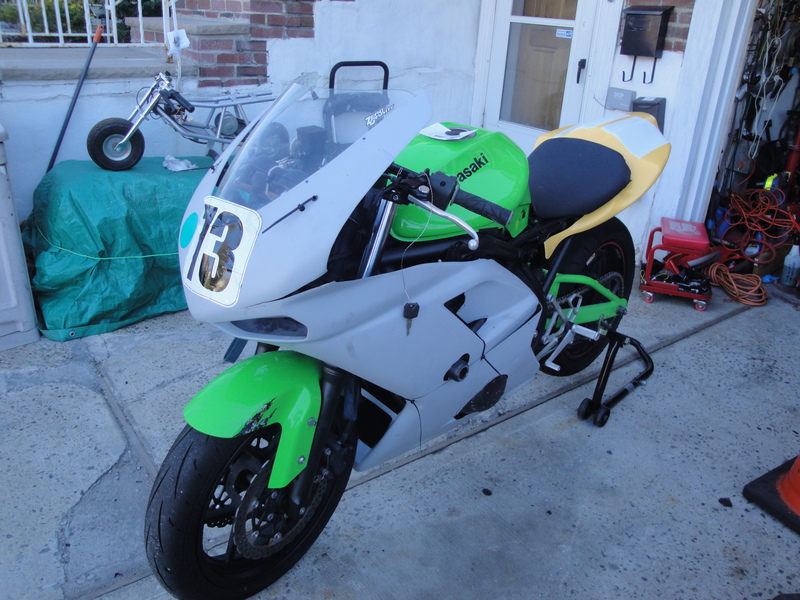 Don'tcha mean it's a Ninja 650 Pannigale? 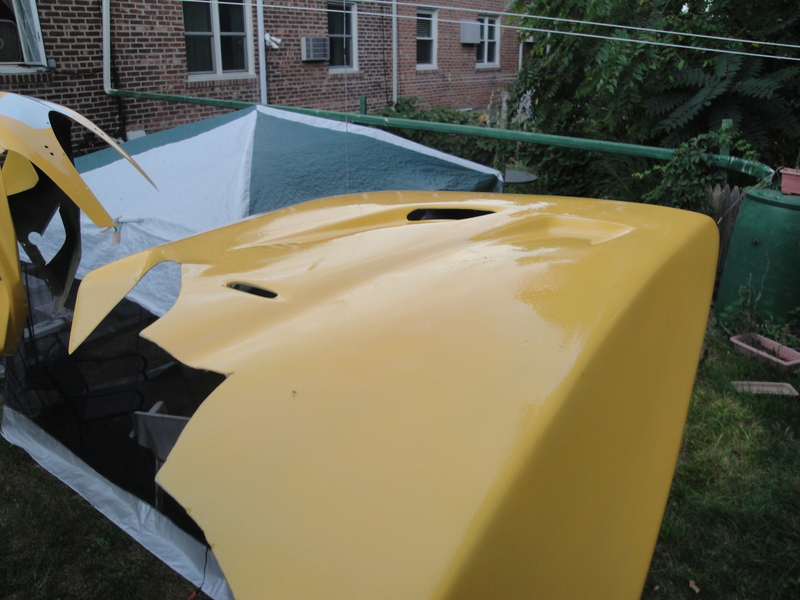 Here is the fairing now. Only slightly more yellow than my arm and shoes the way I paint. Came out good. Had to not make it too nice to flog on the track. I would say a top rate backyard job. Now to get those awesome 73's on there along with some blue grafics. Last edited by smokinjoe73; 09-23-2015 at 04:25 PM. Last edited by smokinjoe73; 09-23-2015 at 06:08 PM. it's gonna be a nice bike. the bodywork will make it unique. I used to own one. doesn't the SV put our a bit more power to start with? aren't you putting yourself at a little bit of disadvantage our of the gate? 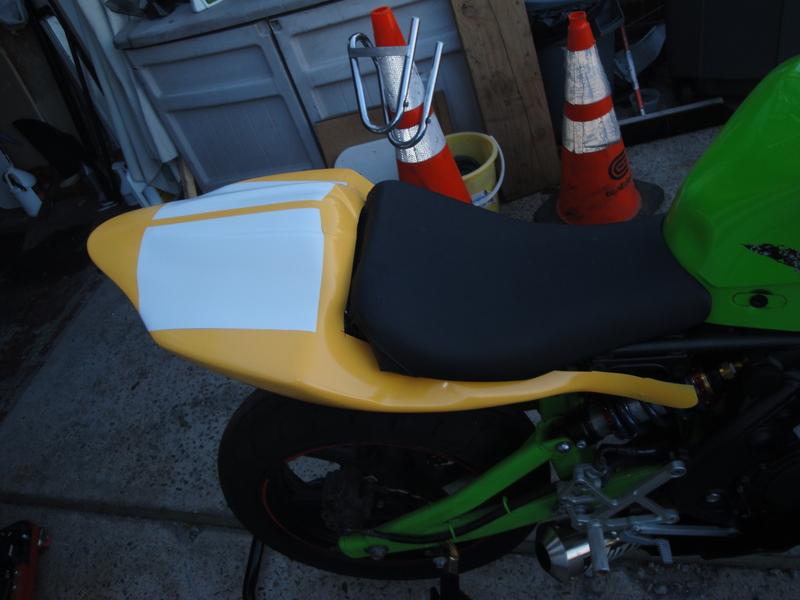 Here is the painted fairing on the bike. Took me 3 days of prep and shooting color and clear. Its time for some graffix and stickers to collect on that contingency money for podiums. 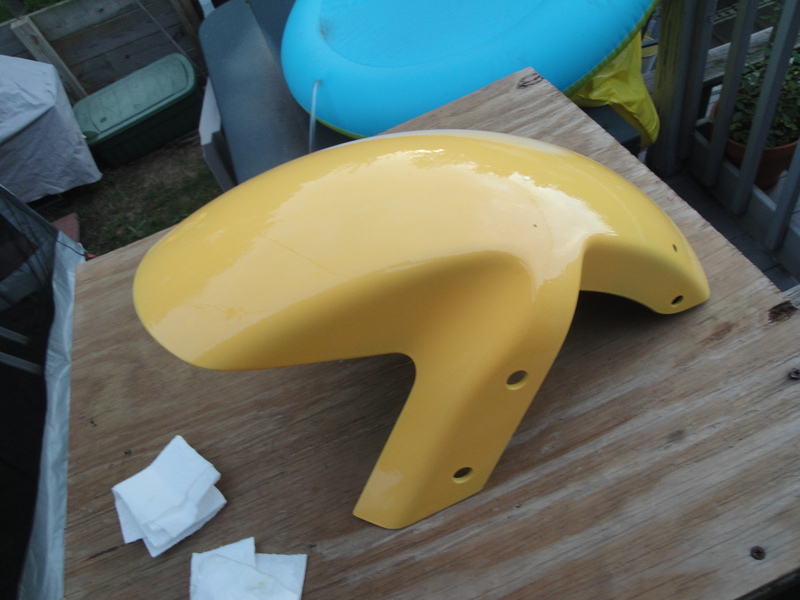 Gonna plastidip the tank & swingarm. Yeah, this bike is down a bit on power to my old sv but it handles better and more importantly its more fun. 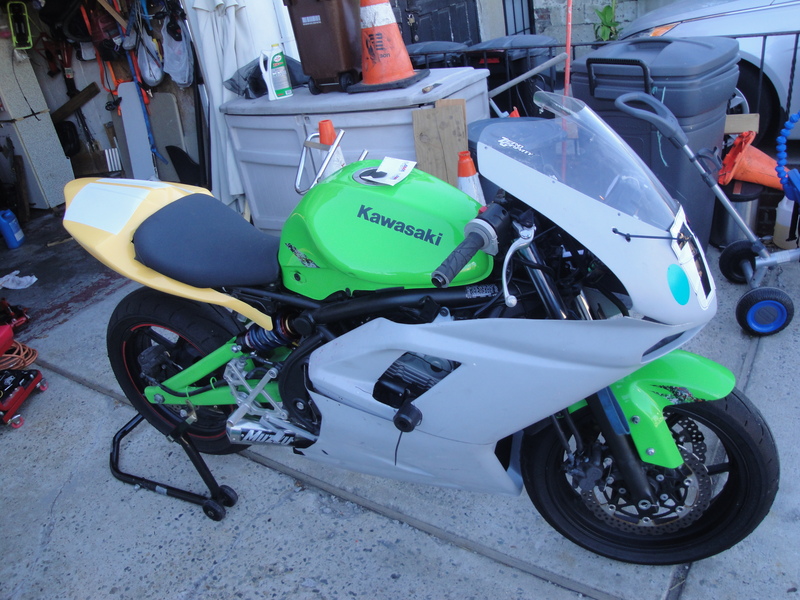 I spent many years on a ninja 500 racing and instructing so have a good handle on using corner speed and brakes to make up speed. 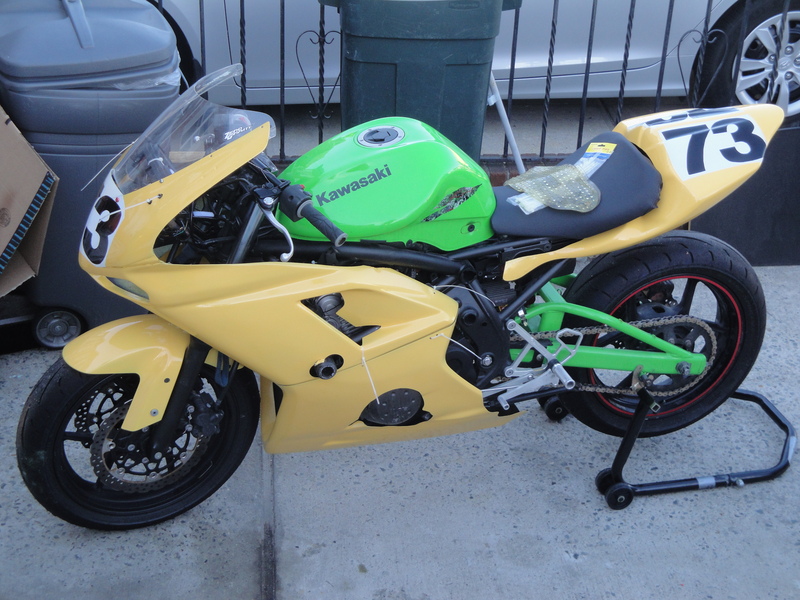 If it were mine, I would leave the tank and swingarm that color. When I first read this thread, I saw the pictures first and made me do a double take. It messes with your head, the colors and the body work. You have no idea what the heck it is at first glance. I love it! Cool bike man. Nice score on the exhaust. Crux leave them green? The only thing is that all my leathers are yellow and blue. 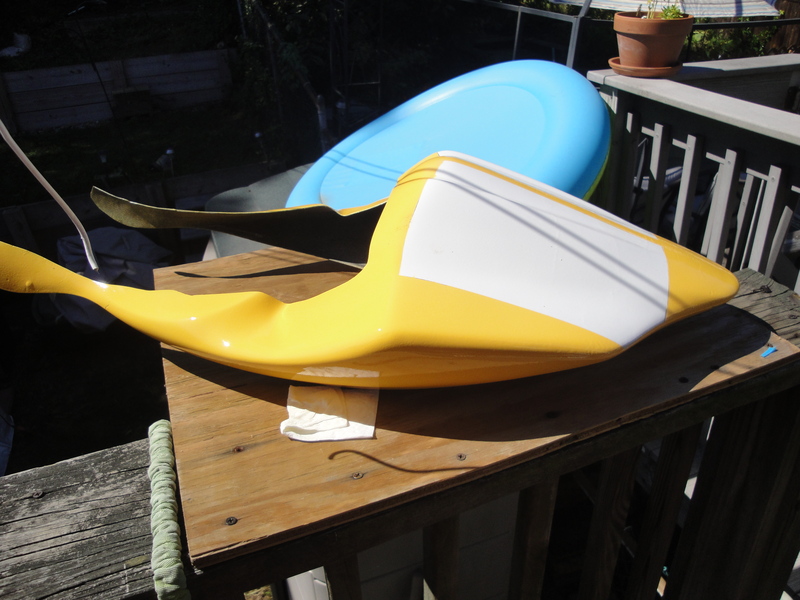 (one set is yellow and black). So trying to keep the theme. The green would stand out. I really like the bike with the laydown shock and underslung exhaust its that bit exotic. Ducati bodywork seems to put it even more unusual looking. I didn't even think about the color of the leathers of the guy riding it. Yeah, I guess it would look a bit goofy leaving it green then.